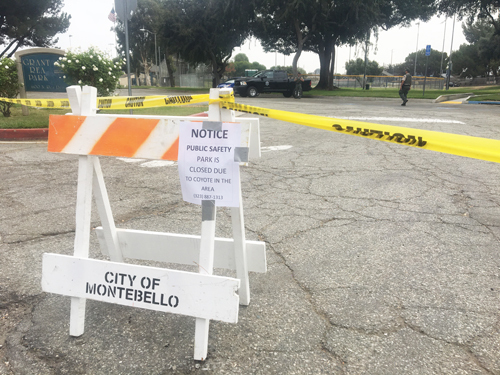 MONTEBELLO – A park and petting zoo in Montebello was closed this week after three people were attacked by coyotes. Several coyote attacks have been reported within a two-week period in Grant Rea Park at 600 Rea Drive, and the incidents have prompted the California Department of Fish and Wildlife to investigate, according to Montebello Police Department Lt. Michael Bergman. Four coyotes were trapped and killed following the attacks, according to news reports that stated two of the victims required medical attention for their injuries. The presence of coyotes in urban areas is growing, as are reports of attacks on small dogs and cats. Coyotes are usually afraid of humans and can be easily scared away, which makes the recent attacks in Montebello more troubling, a fish and wildlife spokesperson said Monday. Asked to respond to why the department is responding so forcefully to the recent attacks when it routinely ignores attacks on small animals, the spokesperson acknowledged that “it’s tragic when a pet is killed,” but told KNX 1070 News that the department’s responsibility, especially given it’s limited resources, it to protect the public, meaning human life. The park was ordered closed Monday was still closed early Wednesday as authorities sought to ensure the public’s safety, according to the California Department of Fish and Wildlife. The Department of Fish and Wildlife is “just trying to get a pulse on the coyote population out there,” Bergman said.